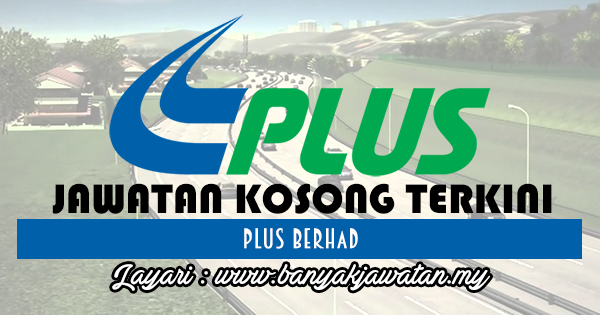 PLUS Malaysia Berhad, as the largest toll expressway operator in Malaysia and one of the largest in South East Asia is proud to mention that we are committed to operate and maintain 987 kilometers of expressways across the country and provides services to vehicles every day. In our 26 years in business, one thing remains unchanged in PLUS Malaysia Berhad is our priority and commitment to provide efficient and safe expressway network that enhances the quality of life. Our vision and mission is to be a premier expressway group in the global arena and providing efficient and safe expressway network that enhances quality of life. 0 Response to "Jawatan Kosong di PLUS Berhad - 26 Ogos 2018"